London-based weekly, The Architects’ Journal, has selected their ten most important buildings from the Star Wars universe. The AJ describes each building as it exists in George Lucas’ reality, and for many of the structures, informs the reader of what real world buildings may have inspired the Star Wars equivalent. In some cases, it’s the Star Wars structures that inspired Earthly creations. We won’t spoil the list entirely, but it’s interesting to see No. 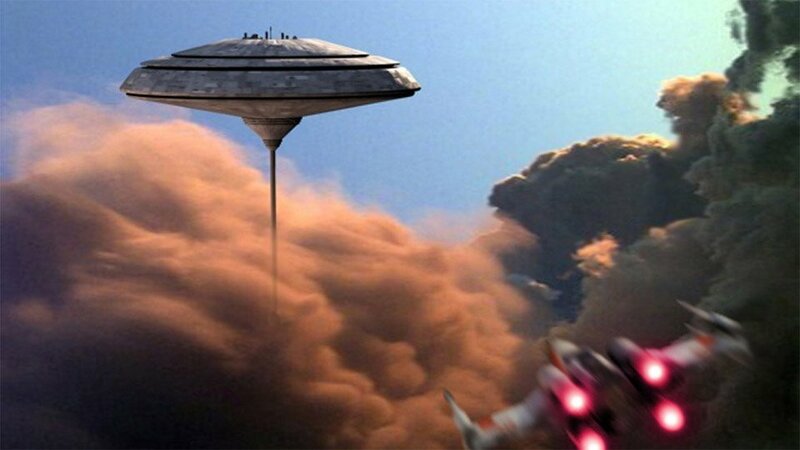 10, Cloud City above the planet Bespin (shown above), juxtaposed with John Lautner’s Chemosphere House. Not to mention the hotel in Tunisia that bears a striking similarity to a Sandcrawler.